*Registration fee must be received in order to reserve the camp. New camps in 2019 - Magician & Music Camp﻿!!! Limit Space on those camps. Sign up now to reserve your spot! "I learned about how the states got their names." "I have learned that stars are gas and I wish I could come on Saturdays too. I even go to bed early so I can get up and come to summer camp." "I learned about linear equations. The formula is y=mx+b. I learned about the 3 types of compound words." "This summer I learned about income tax and how to calculate it. I also learned about transversals on a parallel line, as well as, linear equations and finding slope. I also learned how to find the y-intercept of a line." "I have learned about angles and the different ways you can solve for them. Likewise, I have learned how to use complementary and supplementary angles to find other angles in shapes and figures. Financial literacy was also something we covered, including simple and compound interest." Katy GT Academy's summer camps are entertaining, educational, high quality and convenient . At Katy GT Academy, your child will discover their talent and interests. They will explore the wonder of nature, visit wild and exotic lands, create object models, become super chefs, and much more. The summer will be the kind of experience your child will remember forever. We are the only camp center in Katy that combines learning and fun. We have educational classes and fun activities all in one center and with one price. We offer the following intellectual and talent classes: math, reading, science, art, Chinese/Spanish, chess, basketball, dancing and weekly field trips! We believe the teacher's quality is the most important factor of our school. Among our staff, we have the best quality teachers, national team table tennis coach, famous dancing instructors, chess masters, etc. We offer both morning and afternoon academic classes. Talent classes (karate, art, dance, etc) are offered during lunch time and afterschool. Katy GT Academy has many schedules to pick from. We offer 5 day, 3 day and 2 days schedules. Parents also have the option of full day or half days. According to the national study, a child's development is closely related with the child's attention that was from their parents or teachers. We have small classroom education so that your child will get more one on one attention from his/her teacher. During the summer, we offer a hot lunch daily (lunch will be paid separately) and two snacks. Our snacks are low fat/low salt healthy crackers or fresh fruit daily. Our lunches are also healthy and delicious. Students are also welcome to bring a lunch from home. It is all camps in one center. We have state certified teachers as instructors. We offer reading comprehension, writing, math, mental math, arts & crafts, music, science, geography, Chinese or Spanish. Classes are divided by the grade level. This camp will focus the reading comprehension skill for the second grade to fourth grade. Students will learn the following skills: syllables, synonyms, antonyms, palindromes, prefixes and suffixes, classifying, analogies, context clues, following directions, reading for information, sequencing, opinion and fact, main ideas and details. 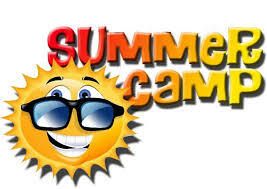 This camp will focus the reading comprehension skill for the second grade to fourth grade. Students will learn the following skills: proofreading, run-on sentences, combining sentences, nouns and pronouns, topic sentences, story map, writing paragraphs, taking notes, compare and contrast, outlining, writing a summary, library and encyclopedia skills, using reference resources, writing a report, writing a poetry. Students will challenge themselves with international Olympic math contest problems. Lots of brain teaser problems. Become a science magician! Discover how physics and chemistry make magic. Experiment with optical illusions and things that glow in the dark. Master cool chemistry tricks; concoct slimy mixtures and potions that change color. Learn how magicians read minds and fool your friends with coin and card tricks. Get ready for your Mars mission by studying the solar system, stars, and amazing features of the Red planet. Make solar system model, study the gravity. Students will learn the earth structure and movement from recent earth quake & tsunami in Japan. Students will learn principles of etiquette and how to treat others and themselves with respect. The focus of this course is: Developing healthy, safe and respectful relationships; Developing respect for ourselves and others; Becoming a considerate and compassionate person; Developing and using proper, respectful communication;Developing and using proper etiquette in shared spaces. The paper crane has become the most widely known symbol for origami and has motivated many people not only to learn about this beautiful art form, but also to learn how to make origami. This article offers some tips on how anyone can get started making origami, and for those who already have some knowledge, how to further your origami skills. Students will make soaps, candles, picture frames and evensome edible food art pieces. This camp will focus on student’s Chinese/Spanish conversation, practice Chinese/Spanish writing and improve reading skills. This camp is designed for younger students to learn how to cook delicious and simple desserts. They will learn math skills by measuring the ingredients and explore their creativity by substituting ingredients or even create their own receipe. This camp will teach students how to cook a variety of international foods. From salads to desserts, your child will become a culinary artist. This camp is an introduction to drama for the young actors using costumes and props. A varied vocal curriculum taught by professional teachers. Students will learn the techniques designed to create the illusion of physical combat without causing harm. Who was the real life princess who inspired the rhyme 'Three Blind Mice'? Are there really unicorns and dragons? And was Cinderella's slipper really glass? Through reading and song, costuming and role-play, arts and crafts we will come to know the stories and history BEHIND the tales and rhymes. We will even try some curds and whey! Explore different drawing techniques; using pencils, markers, crayons, sticks, and pastels. Drawing faces, still-life, animals, and landscapes. Your final drawing will be your choice—it’s your chance to incorporate as many of the learned drawing methods as possible! This class is open to anyone interested in drawing! Teaches the students how to manage their money and how to invest. Class will demonstrate stock market investments, property investments, etc. Wear your creativity! Fimo clay, a few tools and some great imaginations are all that will be needed to make fantastic necklaces, bracelets, earrings, and pins. You’ll learn several clay techniques, make beads, and use a pasta machine to construct fun “joolery” for yourself and others. A crime has been committed and it’s up to you to help solve it! Spend the days on learning forensic laboratory skills. Then, spend the days investigating the crime scene. Collect evidence, analyze it, and determine who’s responsible! 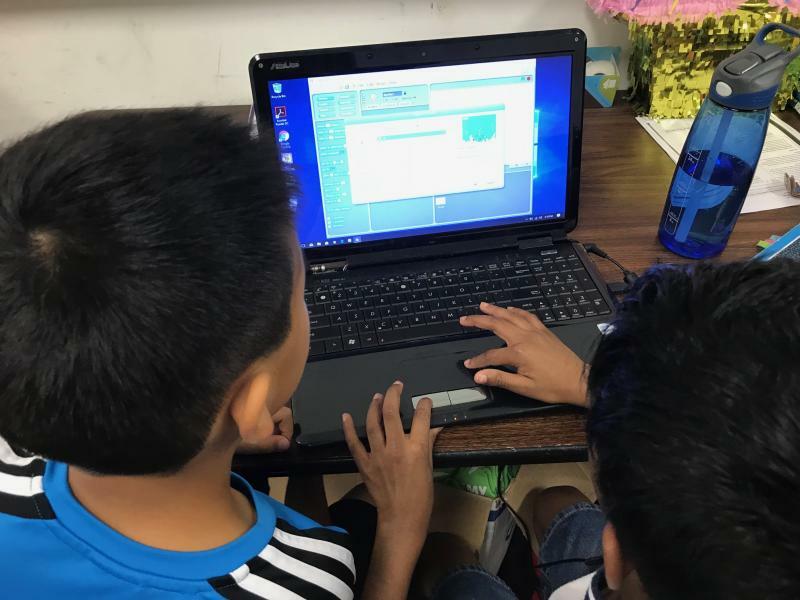 Students will learn basic programming skills and create their own computer games. They will learn how to upload their games to the internet, so that their friends will be able to get on any computer to play your child's game. Your child will also learn how to debug their code. This class will make your kid COOL!! !